Vertigo is the feeling that your surroundings are spinning. This dizziness may last for only several minutes or for days. The loss of balance and nausea are also included in the vertigo symptoms. Vertigo can indicate a range of conditions, but options of treatment for vertigo are available in every case. Vertigo can be categorized as either central or peripheral vertigo, according to the causes. The most common type of vertigo is peripheral vertigo and it is frequently due to the inner ear’s balance mechanisms. The most common causes of this type of vertigo include Meniere’s disease, vestibular neuronitis, labyrinthitis and benign paroxysmal positional vertigo (BPPV), each of which has a slightly different vertigo treatment. In the case of benign paroxysmal positional vertigo, the vertigo treatment will frequently involve moving the body and head through a range of positions. The process is done in your doctor’s office, usually on their exam table and is designed to move the tiny free-floating crystals out of the sensing tube. The Epley maneuver is the most common treatment and sometimes your doctor will provide detailed instructions so you can follow the movements at home. The image here displays the basic movement of Epley maneuver. It begins with sitting upright and turning your head to the side. Keep your head facing that direction while leaning back to lie flat on your back. Once lying down, turn your head to the other side. Roll onto the side you are facing now and then sit back up. The following video will give you a demonstration of the Epley maneuver. Labyrinthitis is the infection of the inner ear and can lead to inflammation of your labyrinth, a delicate structure deep within the ear. This condition is typically due to viral infection and will clear up even without medical treatment. There are, however, rare cases in which labyrinthitis is caused by bacterial infection. In this case, your doctor may prescribe antibiotics. It is known as vestibular neuritis when the vestibular nerve which is used for balance becomes inflamed. Vestibular neuritis is usually due to viral infection and the symptoms will be relieved without treatment. In the case of severe infection, you may need bed rest to feel better. Avoid excessive mental or physical stress and stop drinking alcohol. If your symptoms don’t show improvement within a week or worsen, contact your doctor. Some people notice that removing salt from their diet will relieve vertigo and control other symptoms of Meniere’s. Most doctors will also suggest avoiding excessive caffeine intake, such as that in coffee and tea. In some cases, your doctor may prescribe antihistamines, Beathistine or Prochlorperazine to help reduce symptoms of vertigo as well as vomiting and nausea. Vestibular therapy is for those who are in the middle to late stages of their Meniere’s. At this point, severe vertigo attacks have usually stopped, but there are still balance problems. The therapy involves exercises to train your brain so it can use alternative proprioceptive and visual cues to help maintain gait and balance. When vertigo is due to issues within the brain, including brainstem (the lower portion of the brain connected to your spinal cord) or the cerebellum (which is along the bottom of your brain), It is known as central vertigo. Migraines are a common cause of central vertigo while brain tumors are a less common cause. Head injury can also lead to vertigo. 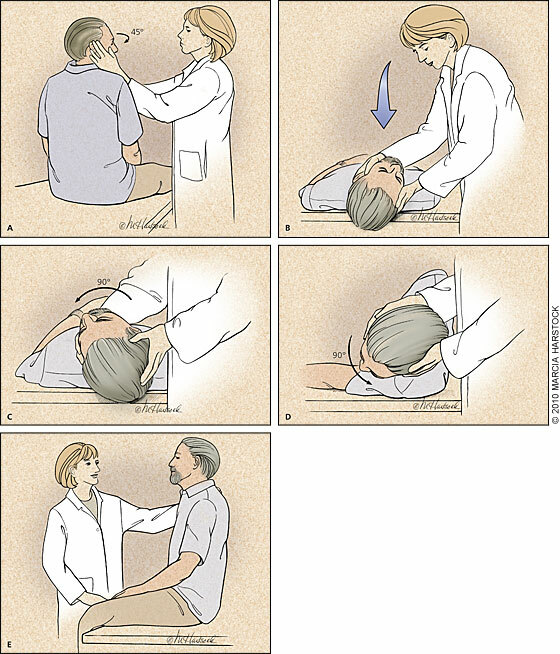 Other causes of central vertigo include: multiple sclerosis, migraines, strokes and transient ischemic attacks. Painkillers – These include over-the-counter ones like ibuprofen and paracetamol. Triptans – These can reverse some changes within the brain that have been possibly linked to migraines. Anti-emetics – These are commonly used to reduce vomiting and nausea. During a migraine attack, it can also help to lie down in a dark room. It is possible for some benign tumors to be removed surgically without a risk of returning. Other tumors, however, may become cancerous or grow back. When surgery isn’t an option or the entire tumor can’t be removed, you may need chemotherapy or radiation to remove the abnormal cells. In the case of mild headaches, your doctor may recommend paracetamol, but you should carefully read and follow the instructions. In the case of a severe head injury, vertigo treatment will require medical attention as soon as possible because of the risk of potentially serious brain damage. A severe head injury may bring the problems with senses, blood loss, vomiting, seizures and unconsciousness. Why Do I Constantly Feel Off Balance? Can Sinus Infections Cause Dizziness?